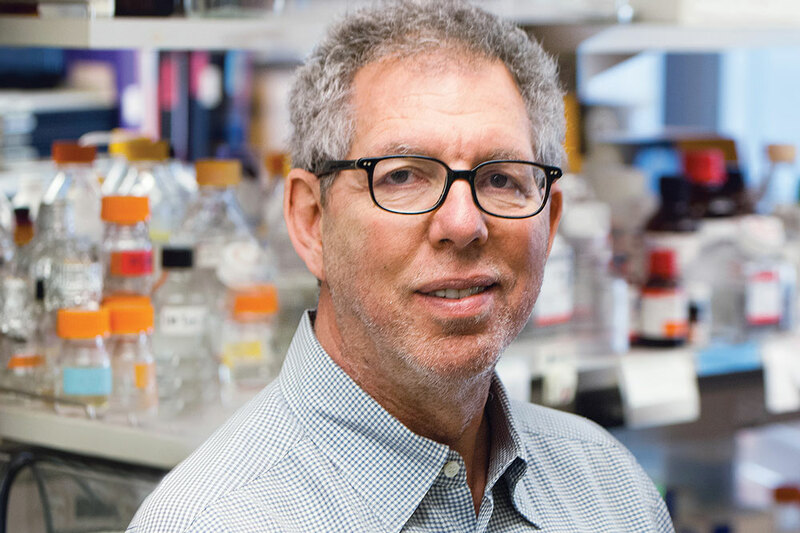 Jeffrey M. Friedman, Marilyn M. Simpson Professor and head of Rockefeller’s Laboratory of Molecular Genetics, has been named the recipient of the 2019 Wolf Prize in Medicine. He is being recognized for his discovery of leptin, a hormone secreted by fat cells that modulates food intake and energy expenditure. Friedman’s 1994 discovery of leptin, and of its receptor in the brain encoded by the obese gene, shed new light on the pathogenesis of obesity. He and his colleagues have since shown that leptin acts on sets of neurons in brain centers that regulate food intake and energy expenditure, and has powerful effects on reproduction, metabolism, other endocrine systems, and immune function. Defects in the leptin gene are associated with severe obesity in animals and humans. Since 1978, the Wolf Foundation in Israel has awarded annual prizes in the arts and sciences, which are presented by the President of Israel. In addition to Friedman’s prize for Medicine, this year’s Wolf Prize recipients include an architect, a professor of agriculture and resource economics, two chemists, and a mathematician. The awardees will be honored at a Jerusalem ceremony led by the Israeli president, Reuven Rivlin, in May. Previous Rockefeller recipients of the Wolf Prize in Medicine include Maclyn McCarty in 1990 and Jeffrey V. Ravetch in 2015. Three Rockefeller faculty have been recipients of the Wolf Prize in Physics: Mitchell Feigenbaum and Albert Libchaber in 1986 and George Uhlenbeck in 1979.